Do you see yourself as Sebastian Wilder or Mia Dolan? Dreamchasers? Or have you found your past year to seemingly have its own soundtrack from a familiar movie? Well don’t go far as perhaps you may be experiencing LaLapCheeLand… Welcome to Sebastian and Mia’s LalaLand as we cap our exciting year and end it with a bang. Our upcoming Farewell Party is like no other and will surely be the best in our 5 years. 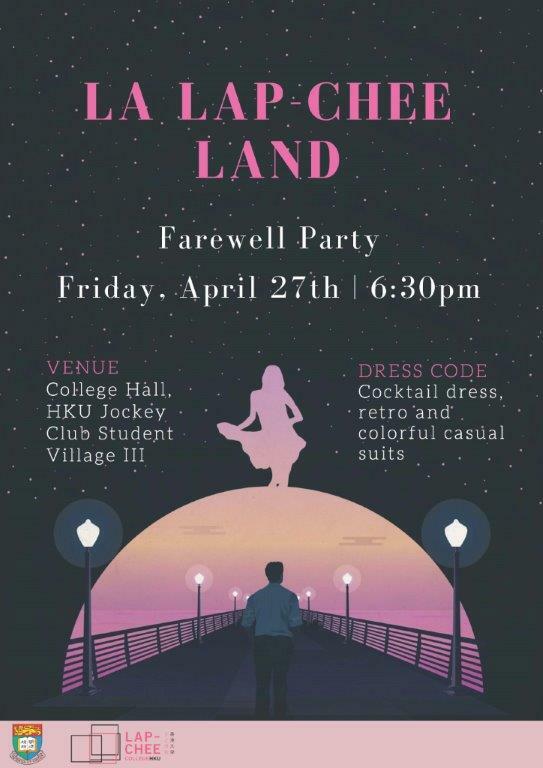 Inspired by this Oscar winning film Lalaland, from the moment you enter the College Hall and walk our specially mounted Red Carpet to the moment you hear the highway musical opening scene played by Lap-Chee Music Society to the frolicking and hard hitting DJ party music of Charles Leung, you will surely enjoy this night to remember. 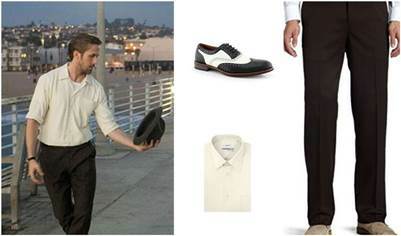 Come in your best LalaLand Inspired outfits (cocktail party dresses and dapper casual suits…see samples) and get a chance to be our Sebastian and Mia of the Night for a Prize!!! Cocktails will overflow and so will drinks so we got your tummy and spirits covered. Let Lap-Chee College give back to you as our way of saying Thank you for a wonderful year and as a way to send off our amazing graduates as we watch them soar and reach for their dreams. We will also recognize the achievers of the year. Music, music and music is almost never ending covering a wide genre to suit everyone’s tastes. And a surprise number is a must watch!! !